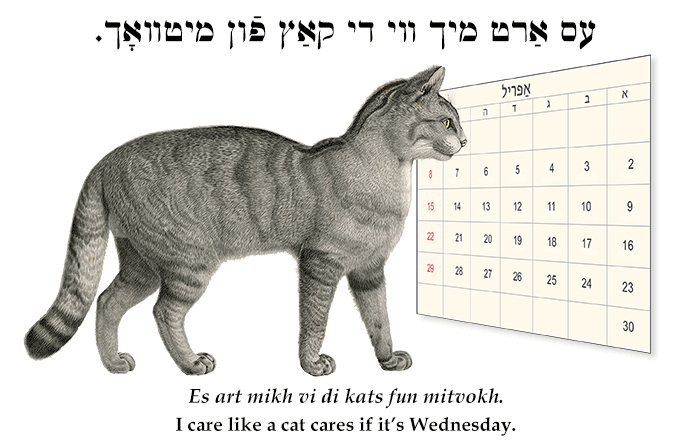 Yiddish idiom: I care like a cat cares if it's Wednesday. עס אַרט מיך ווי די קאַץ פֿון מיטוואָך. Es art mikh vi di kats fun mitvokh. I care like a cat cares if it's Wednesday. It bothers me like last year's snow.